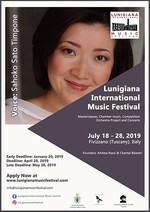 Sahoko will be performing and teaching at the Lunigiana International Music Festival in Tuscany, Italy from July 18-28, 2019. Please send a message if interested in participating in the festival. Sahoko will sing Alto Solo in Verdi Requiem with Music Worcester. Click for more information and for tickets. Sahoko gave a special class titled “How to Sing in English like the Natives” at Kanazawa University on June 12, 2018. 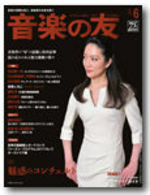 Sahoko was mentioned in the review of Figaro 90210 for Ongaku-no-tomo magazine June 2017 volume! Click here to see Sahoko and Figaro 90210 cast in this NY Times article!